Huawei surprised everyone by launching a phone having not one or two, but three cameras on the back. The Huawei P20 Pro still has the best camera among any phone as per DxOMark, and that’s all due to the impressive triple camera setup and the image processing. It looks like companies aren’t going to stop at three cameras. Samsung just launched a new smartphone that comes with not one, two or three, but four rear cameras. 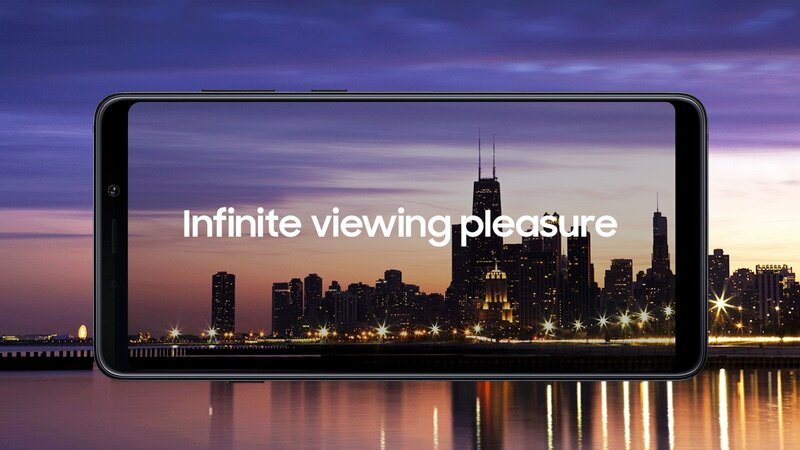 The Samsung Galaxy A9 is the first smartphone in the world to launch with Quad cameras. The Galaxy A9 is a mid-range phone from Samsung, but still, it comes with a premium design. The phone has 3D Glass back and an aluminum frame that makes it look gorgeous, especially with the two Gradient color options. The USB Type-C port, 3.5mm headphone jack, and speaker grill are placed on the bottom, whereas the triple card slot is placed on the top. The fingerprint scanner is placed on the rear. The Samsung Galaxy A9 has a 6.3-inch Super AMOLED Full-HD+ display with a resolution of 2220 x 1080 pixels. The display isn’t going to be as good as the Quad-HD+ Super AMOLED panel on the Note 9 but is better than most of the mid-range phones out there in the market right now. The processor under the hood is an octa-core 2.2GHz chip that is coupled with 6/8GB RAM and 128GB internal storage. As mentioned above, the Galaxy A9 has a triple card slot that means you can add two SIM cards and a micro SD card at the same time. 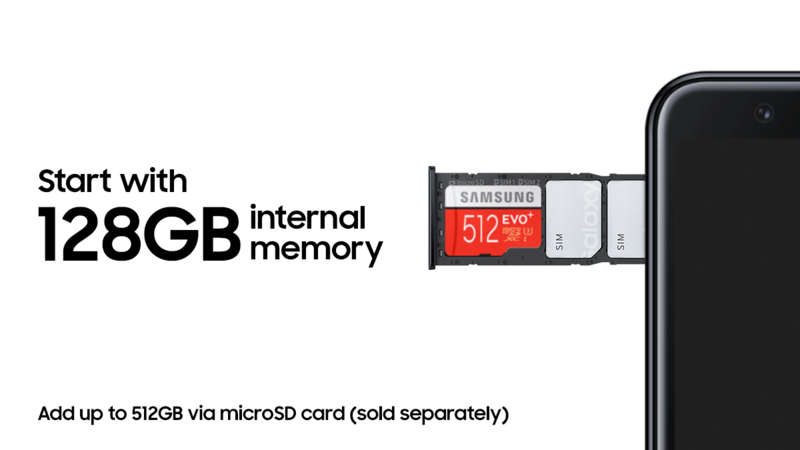 The storage is expandable up to 512GB. Let’s just talk about the main USP of the phone. The Samsung Galaxy A9 has quad cameras on the back. There is a 24MP main camera with f/1.7 aperture, a 10MP Telephoto camera with f/2.4 aperture + 2X Optical ZOOM, an ultra wide-angle 8MP camera with 120-degree FOV and a 5MP depth camera with a f/2.2 aperture for Portrait shots. It would’ve been even better if there was a monochrome sensor instead of a depth sensor since Samsung can certainly pull off portrait mode shots with the main camera using the software. Still, the camera setup seems pretty promising. On the front, there is a 24MP camera with the f/2.2 aperture so, the Galaxy A9 has five cameras in total, the most we have seen on any phone launched till date (Except the Light L16). Like the Note 9, the Galaxy A9 comes with Scene Optimizer. So, it detects the type of scene and adjusts the camera settings accordingly. The Samsung Galaxy A9 comes with a big 3,800mAh battery, and it supports Fast Charging via USB Type-C Port. Despite having a glass back, the phone doesn’t support Wireless Charging. Android 8.1.0 Oreo runs out of the box with Samsung Experience UI on top. 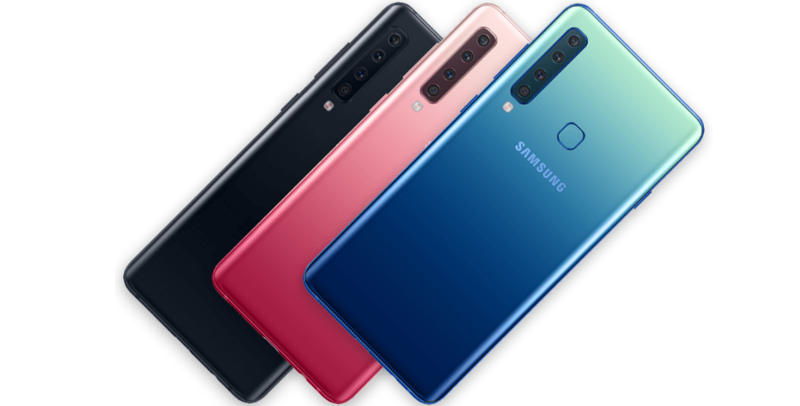 Samsung Galaxy A9 comes in three colors – Caviar Black, Lemonade Blue, and Bubblegum Pink. The pricing is yet to be announced by the company, but we don’t expect it to be under $500.